Complete your lawn maintenance and safely and quickly remove any overgrown limbs with a Remington Pole Saw. You can easily reach high branches and bushes with no ladders are required with a Remington Electric Pole Saw. Known for gas and electric chainsaws, Remington is a reliable brand. 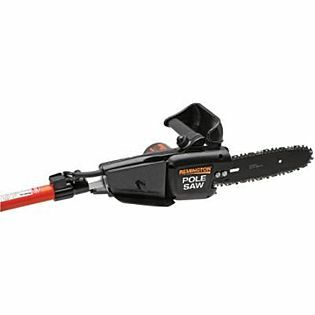 Remington saws are now part of MTD which manufacturers a complete line of outdoor power equipment. 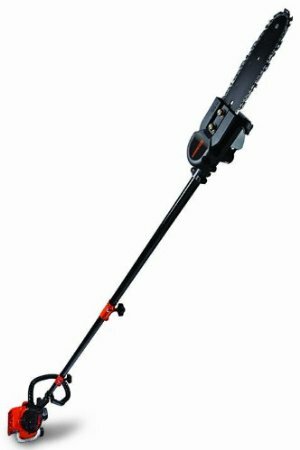 The Remington 10inch Electric Pole Saw allows you to cut branches which are 15 feet above the ground with no ladders are required. Made from aluminum, the hex-shaped inner pole features a durable strength and rigidity during extended-reach operations. Its head is removable and can be can be used separately as a handheld electric chainsaw. The 10″ low kickback and chain ensures a safe and comfortable working. Equipped with an adjustable telescoping pole, this Remington Electric Pole Saw let you reach overhead branches up to 15ft. The 8 Amp motor provides 10in. low-kickback bar and chain. The inner pole is made from aluminum for extra strength and control during extended-reach operations. Besides, it changes from pole saw to chain saw without the use of tools. 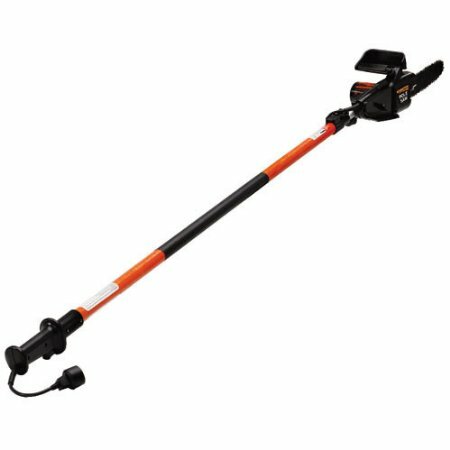 Extending your capacity to reach overhead branches up to 15 feet, this Remington’s Branch Wizard Pro electric pole saw allows you to tame your trees easily and quickly. Tool-less change from pole saw to chain saw with this dual-purpose tool. 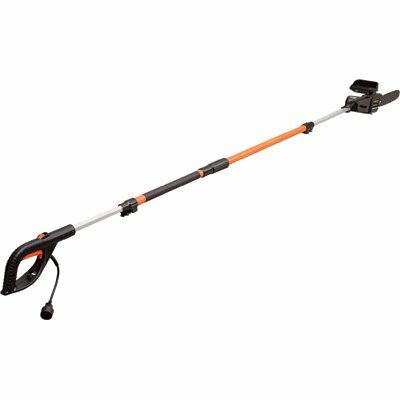 It also features a 10-inch guide bar, a non-slip grip, a low-kickback chain, instant start with no pull cords and a trigger lock to prevent accidental starting. 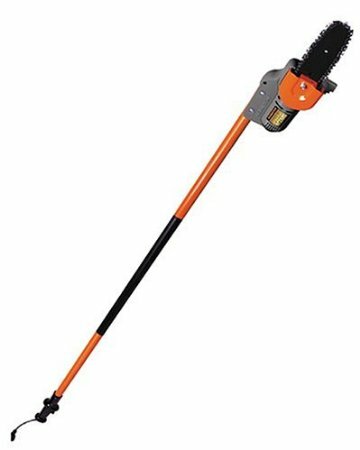 Featuring a lightweight design and 7-foot long fiberglass pole, this pole saw allows you to cut branches up to 6 inches thick and up to 12-foot reach with less strain. A 6 amp motor can meet all the needs of power. The in-line powerhead design lets you access in trees easily. This pole saw extends your capacity to reach overhead branches up to 14 feet depending on operator height. Featuring a split boom design, this unit allows you to use the pole with a variety of lawn tools. Its 28″ pole segment is able to be removed to use the saw in a 6′ configuration.